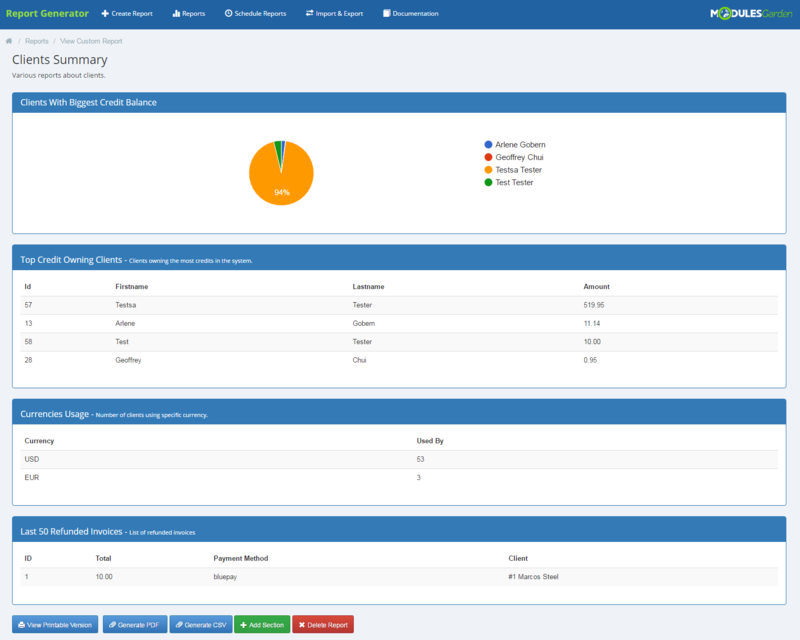 Report Generator For WHMCS will let you preview numerous ready made reports and generate dynamic reports from any kind of WHMCS data. 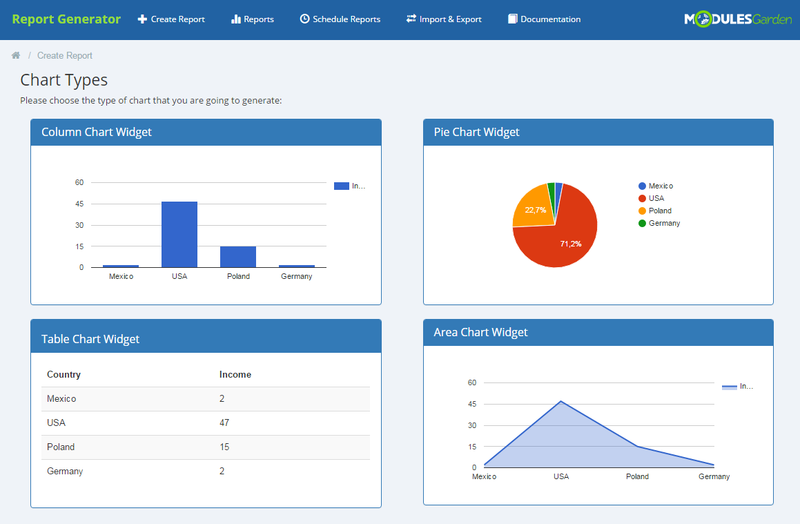 You will be also able to export or print reports, display them in tables/graphs/charts, as well as apply various filters and even your own PHP code to receive expected results. 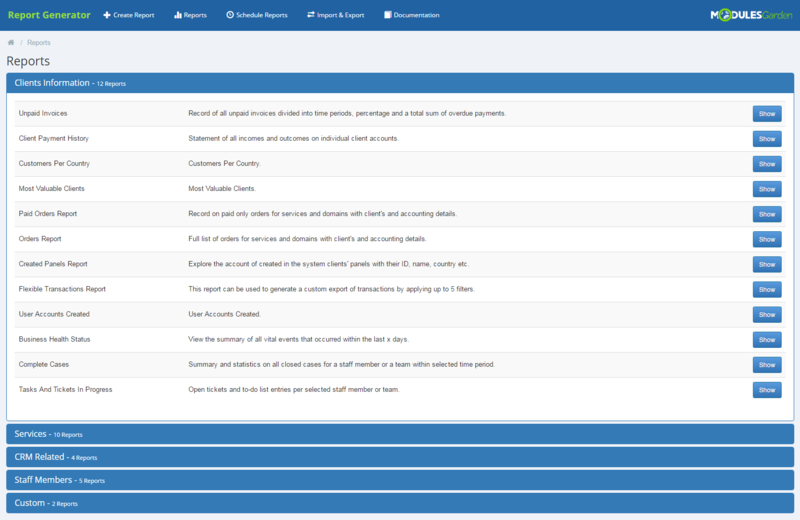 Furthermore, our module will allow you to schedule creating and sending specified reports, predefined and custom ones, either to your staff members via email or to FTP/SFTP server. 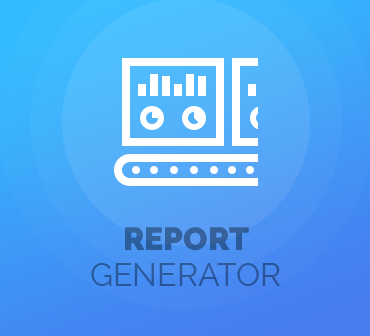 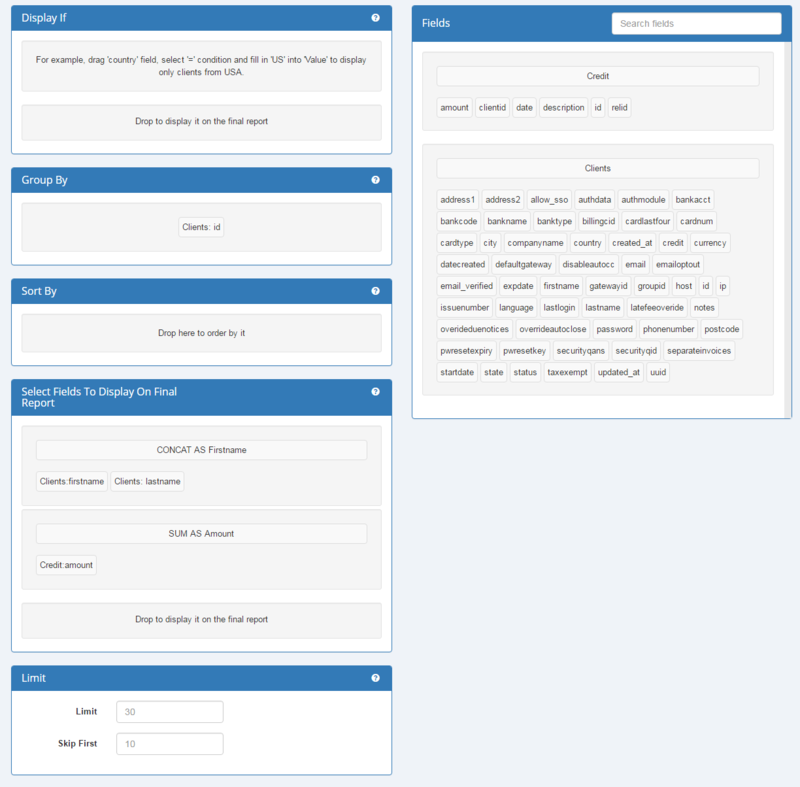 Report Generator For WHMCS offers three different types of inbuilt creators. 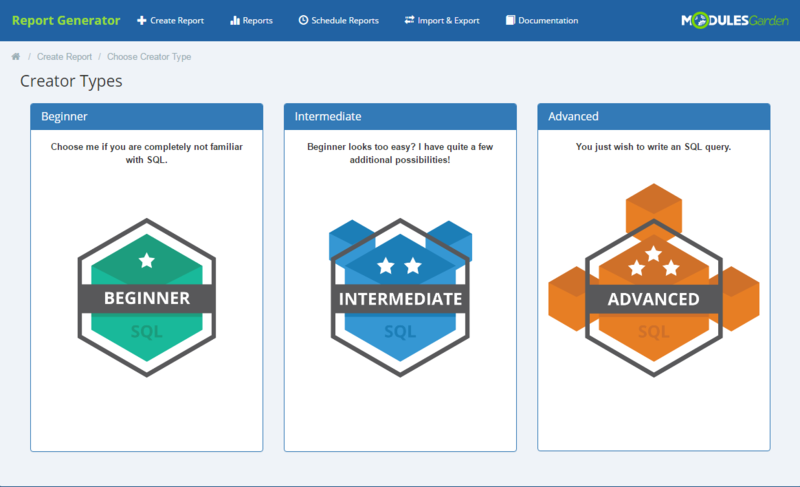 Whether you are a professional in SQL language or you have never heard of it, you will find a perfect tool adjusted to your skills. 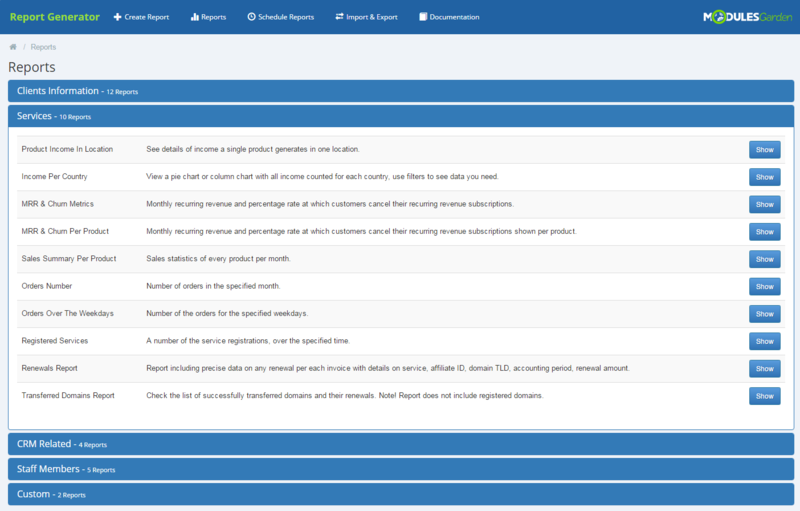 A well-thought and user-friendly interface of every creator will let you compose any report you can imagine within just a couple of clicks! 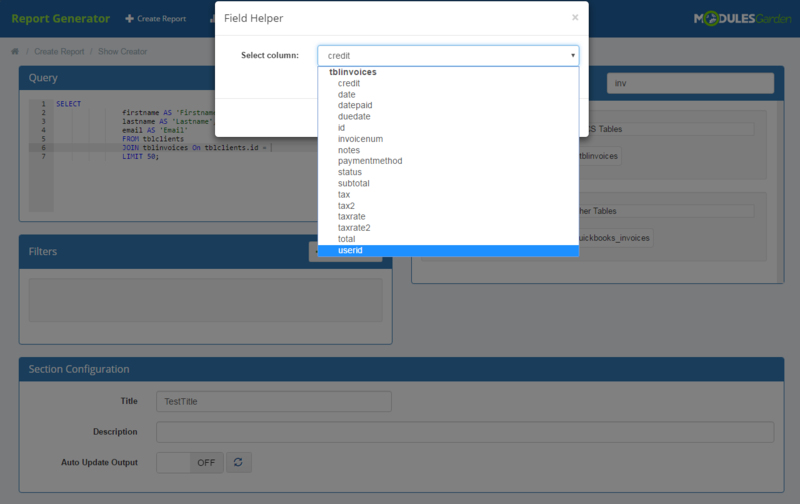 What is more, our module already contains nearly 30 predefined reports that you can freely filter to get data you need. 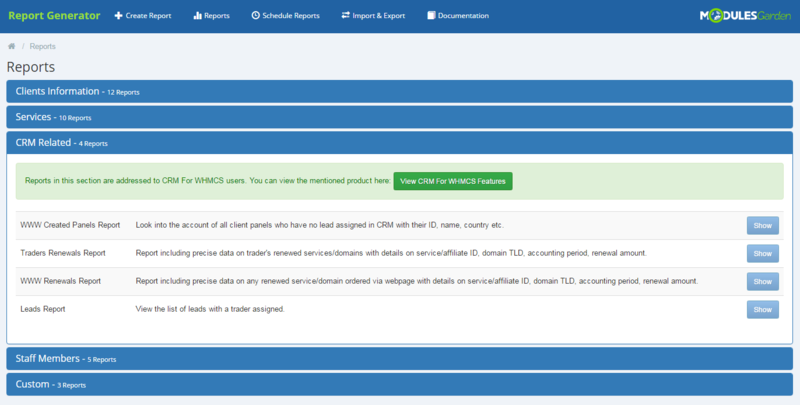 If you also own our CRM For WHMCS module, you will find here 4 extra reports based on CRM data. 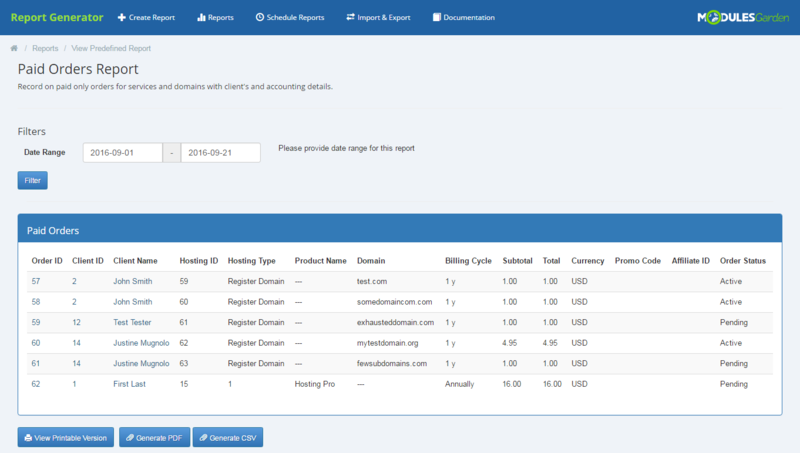 Regardless of whether you are a web hosting provider, a domains reseller or you use WHMCS in any other way, our module will help you to analyze your company, draw appropriate conclusions and improve your business. 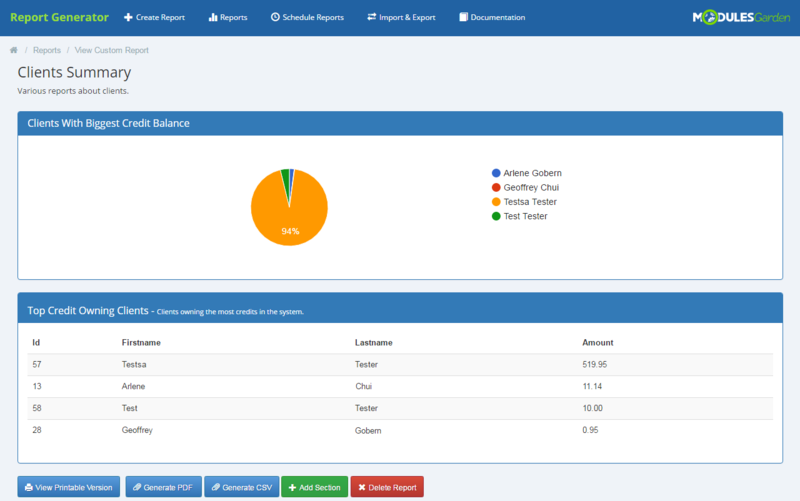 Order it today to make your work easier and more efficient. 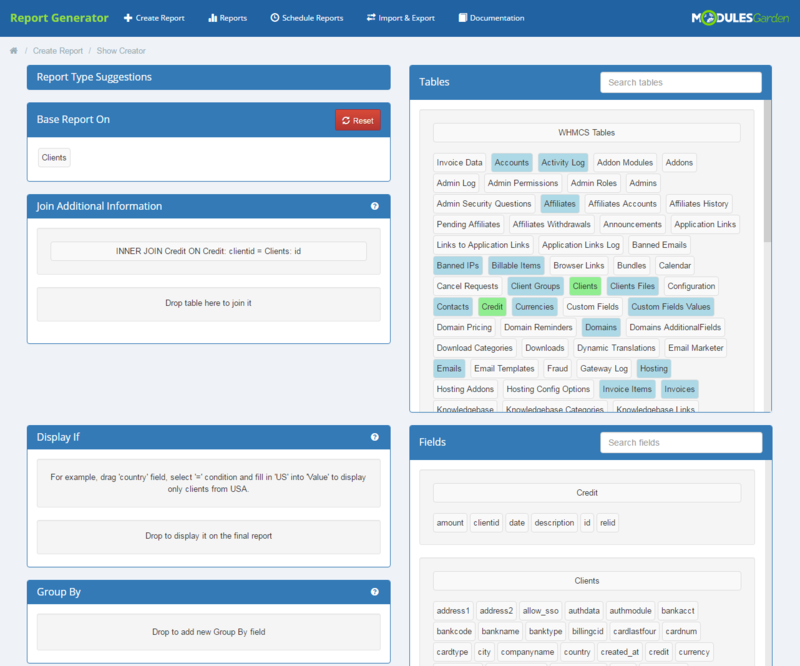 Report Generator For WHMCS - all the information you need, within reach. 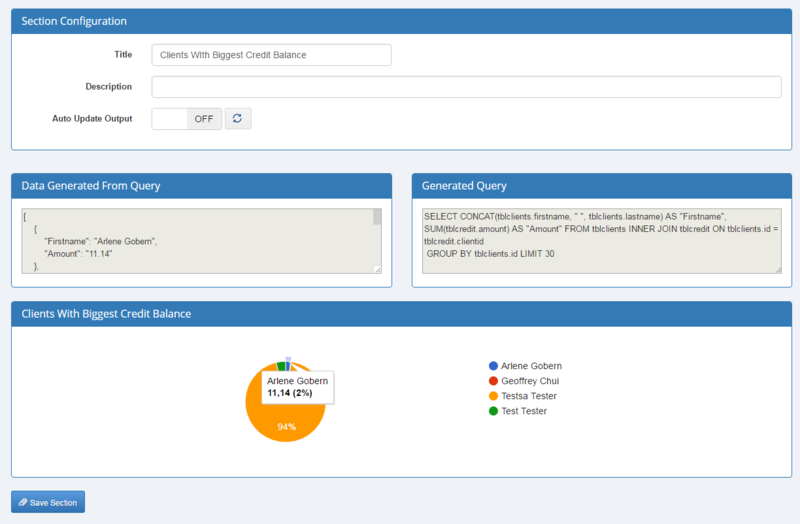 WHMCS didn't have the level of reports that we required to manage our customer data. 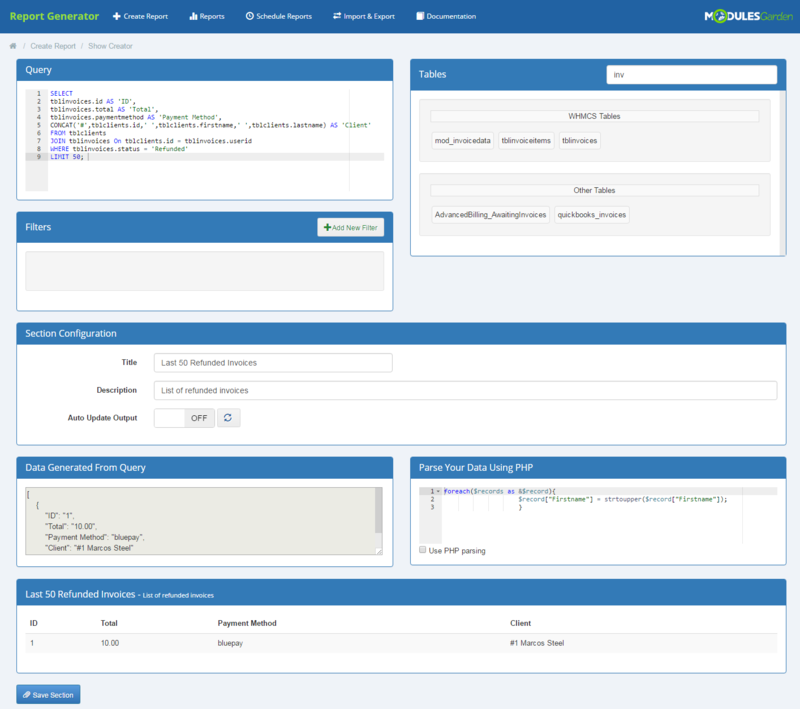 We did the trial of the ModulesGarden Report Generator for WHMCS and purchased the product well before the trial expired. 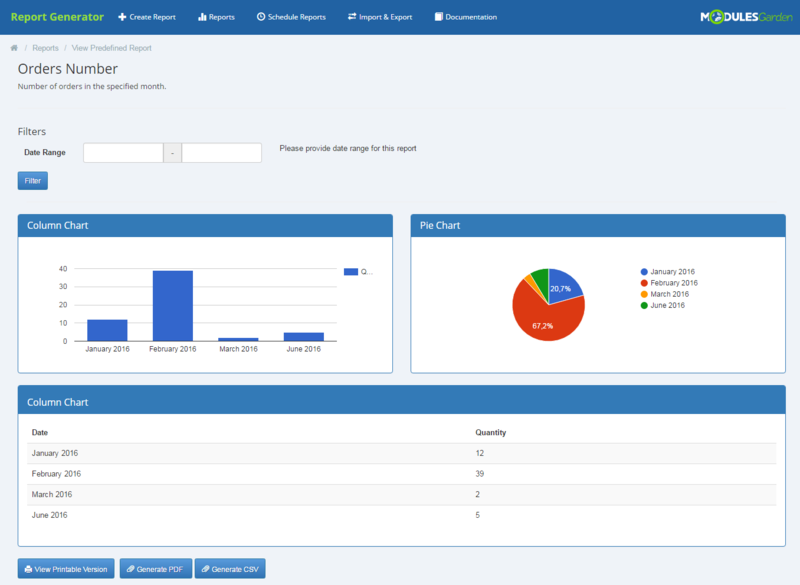 It has everything we need, plus we have built a number of custom reports. 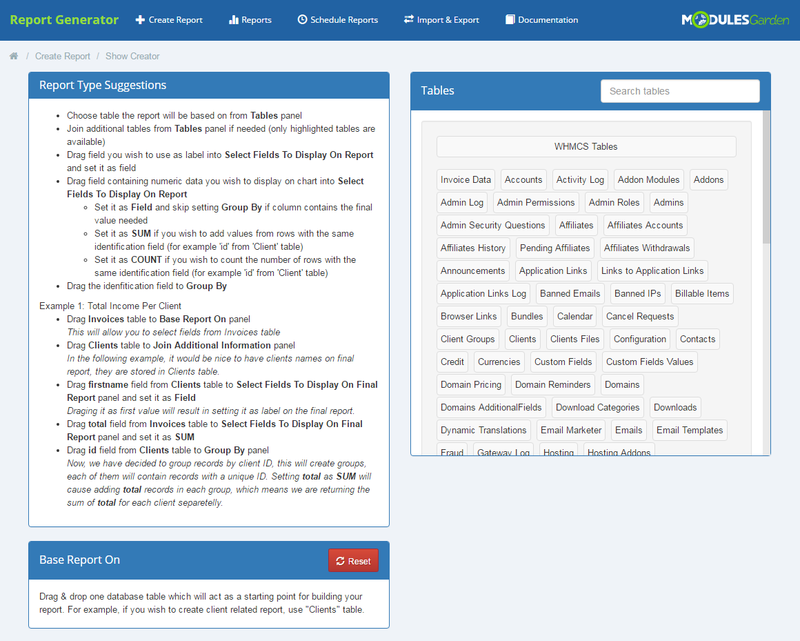 This product is highly recommended! 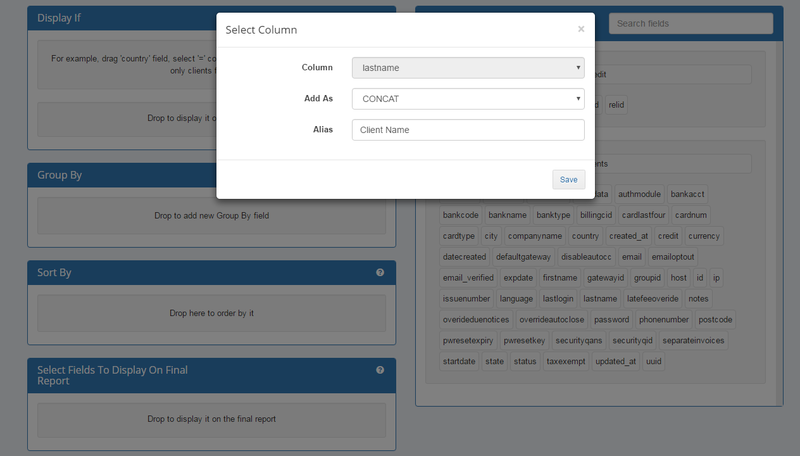 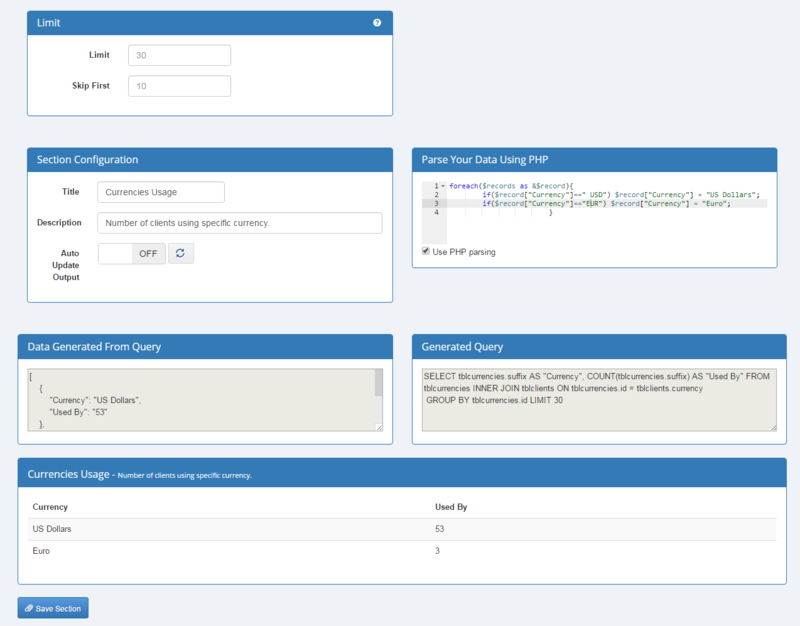 With these module you have no need to know SQL, because support drag&drop functions. 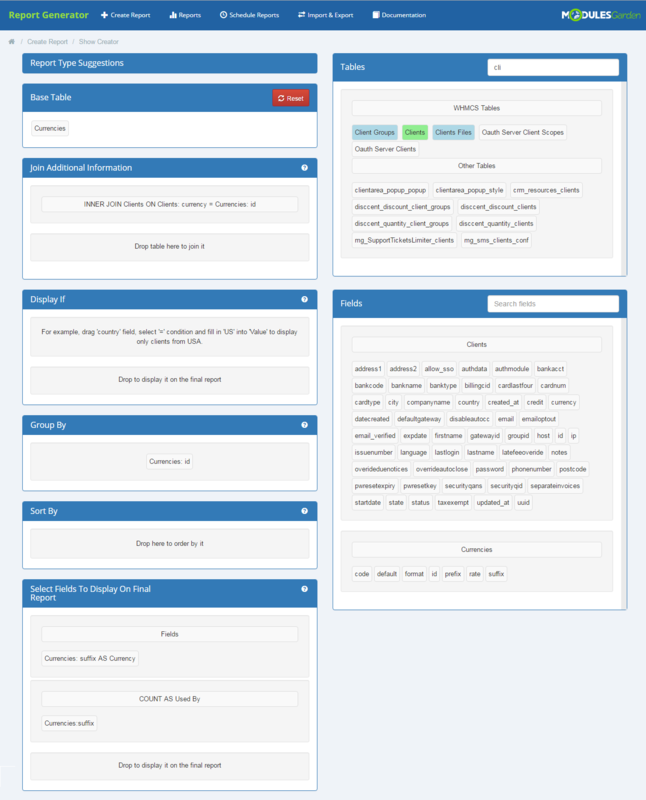 Great module, I couldn't ask for more.